Today I have been working on carrot cake for tonight's book club (posting tomorrow perhaps), but I also needed to eat some chard. Keeping up with the CSA box is sometimes hard work. That's a lot of vegetables. But Jacques Pepin's swiss chard with ginger (and garlic and jalapenos) is pretty darned tasty. I do think that even more ginger (and garlic and jalapenos) would be even better (so I added more below). This is pretty simple. Pretty basic. Pretty tasty. And, ain't it pretty? Now, simply, I just need to go grade the rest of those papers. 1. Trim about 2 inches from the tops of the chard leaves, and discard the trimmings. 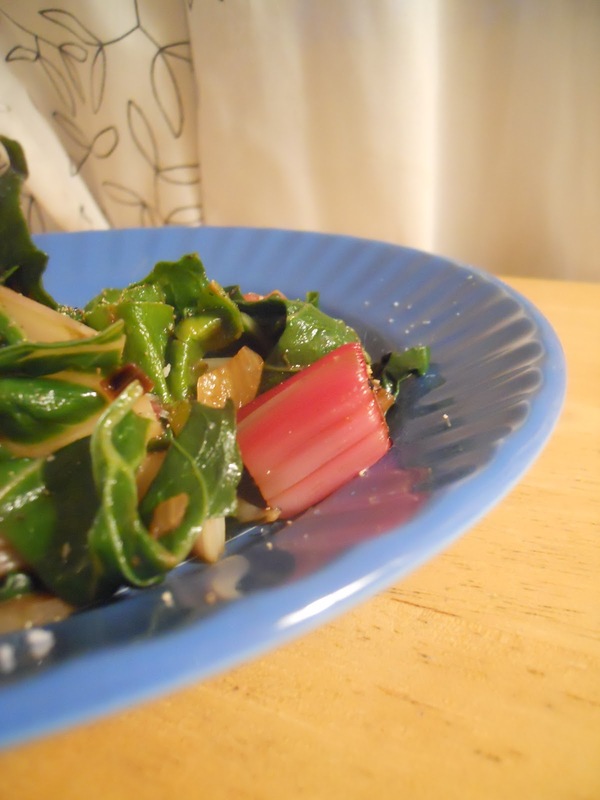 Cut the remaining chard ribs and leaves into 2-inch pieces. 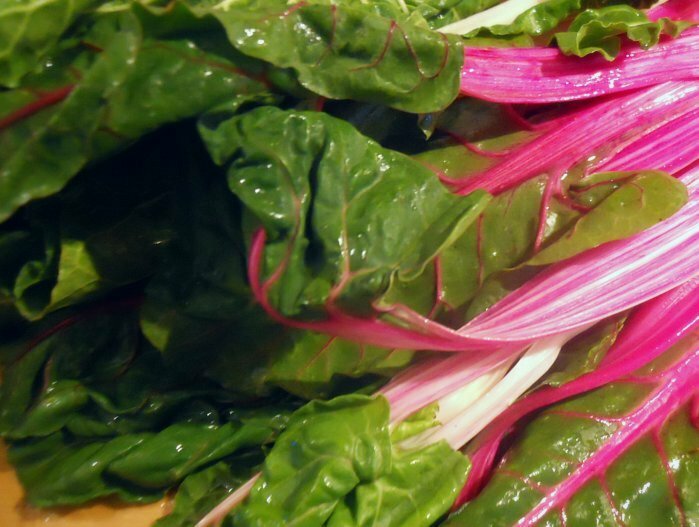 Wash and drain the chard. You should have about 2 cups, lightly packed. 2. Heat the oil in a large saucepan. When it is hot, add the shallots, and saute them for 30 seconds over high heat. 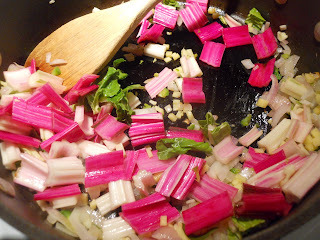 Add the garlic, ginger and jalapeno, mix well, and cook for 10 seconds. 3. 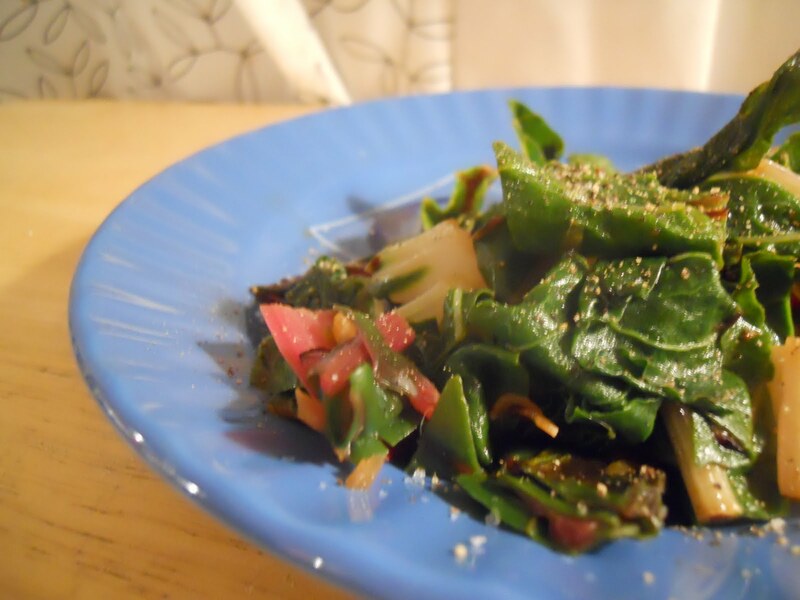 Add the chard stems, still wet from the washing, turning them over in the pan several times to incorporate the shallots, garlic, ginger and jalapenos and prevent them from burning in the bottom of the pan. Sautee for 2-3 minutes. 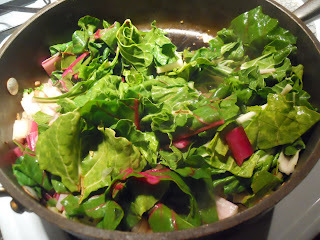 Then add the rest of the chard leaves and the salt. 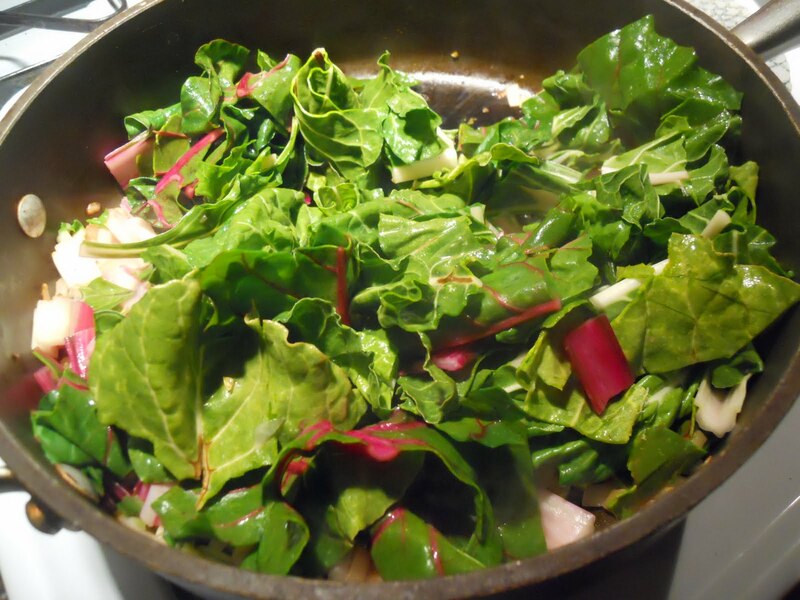 Cover, reduce the heat to medium, and cook the mixture for 6 to 8 minutes, stirring occasionally to prevent burning and sticking to the bottom of the pan (if need be, add a tablespoon or two of water), til the chard leaves are wilted and tender but the ribs are still slightly firm. 4. Transfer the mixture to a serving dish, and serve immediately.